[THE INVESTOR] Pernod Ricard Korea, the local unit of the French distiller, aims to revitalize the sluggish whisky market in South Korea and regain the No. 1 position in the industry under new leadership. To do so, the company will first focus on selling its premium Scotch whisky Imperial, among its diverse product portfolio which also includes wine and rum. Scotch whisky Ballantine’s and Absolut Vodka come as the second priority, Touboul said. 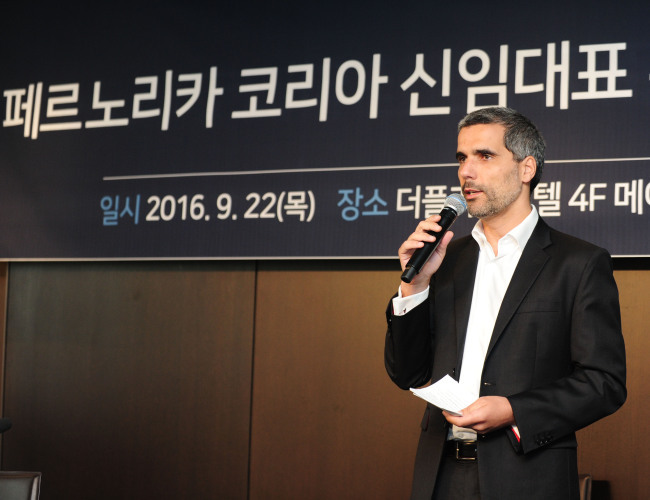 “(The) success of Pernod Ricard Korea is highly dependent on these three brands. Growing Imperial is not an option, but it’s a must,” he said. Touboul, who formerly headed the firm’s Taiwan unit for two years, became the new head of the Korean unit in September, replacing former chief Jean-Manuel Spriet. His succession arrives at a tough time for the distiller amid the waning Korean whiskey industry. Pernod Ricard has suffered declining sales over the past few years, partly due to the liquor market in Korea, an ongoing struggle with its unions and its failure to catch up with rivals, including Diegeo, the world’s largest distiller that markets Johnny Walker and Windsor whisky brands here. The French distiller was once the leader in the whiskey market here, but has now fallen to third place after Diegeo and Golden Blue, a homegrown whiskey brand. He reaffirmed the company’s goal to become the leader again by first putting a stop to Imperial’s declining market share and resume growth. The chief, however, declined to put a specific figure to its goal. Touboul said he is aware of the nation’s anti-graft law taking effect next month -- that bans extravagant dinners and gifts for certain professions. According to industry insiders, the law is expected to severely hit the whiskey market as whiskey is regarded an upscale drink consumed mostly at bars during formal or business settings.